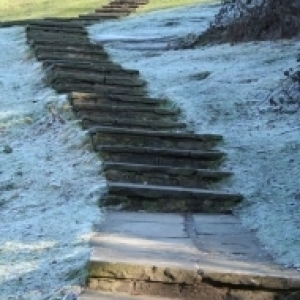 These steps are in Richmond Park, and lead up to Pembroke Lodge where I went to have a cup of tea after my walk this morning. 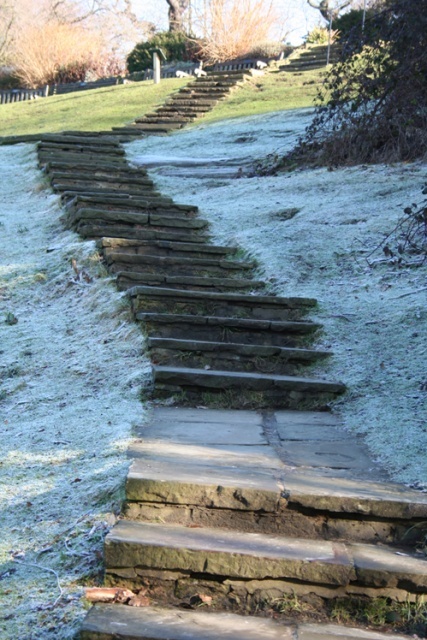 Half of the steps were still frosty and in shadow, but the top had the sun on them and the frost was gone. I love the contrast of colours and the rickityness of the steps.